We want to say a very special THANK YOU to Laura and Bryan Higginbotham! 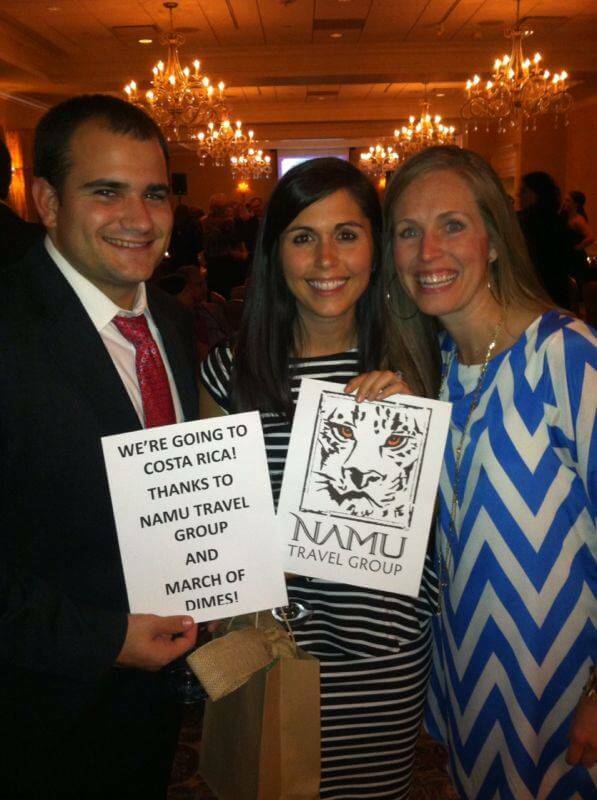 They won a vacation to Costa Rica on March of Dimes charity held on October 3rd 2013, in Marietta Country Club, just outside of Atlanta. There were about 250 people in attendance of this charitable event and it raised thousands of dollars. Laura and Bryan supported this great cause by buying the vacation as the largest selling item at almost $2,000. They’ll be visiting us in March, so we want to say welcome!